This is the first book in a very funny series aimed at middle schoolers. The books represent the diary of 14-year-old Nikki Maxwell and, in addition to text, feature drawings, doodles and comic strips chronicling her life. In this one, Nikki is unhappy her father arranged a scholarship for her to attend a private middle school as part of the contract for his bug extermination services. Nikki doesn’t fit in with the wealthy students like popular but mean, MacKenzie Hollister. 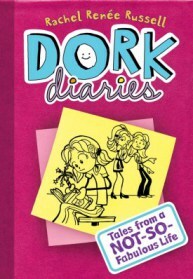 MacKenzie labels Nikki a “Dork” and tries to make her life miserable especially when the boy she likes seems to prefer Nikki instead. Things get better when Nikki makes a couple of friends, but the school art competition pits her against MacKenzie who is determined to win at any cost. This author absolutely nails the middle school voice. I could relate to Nikki and her drama even as an adult and found myself laughing out loud more than once. A light, funny read for any age. I love this Newbery winner about a girl stranded for years on an island off the coast of California. The reading level is considered middle grade, but the book, based on a true story, is a wonderful read for anyone. 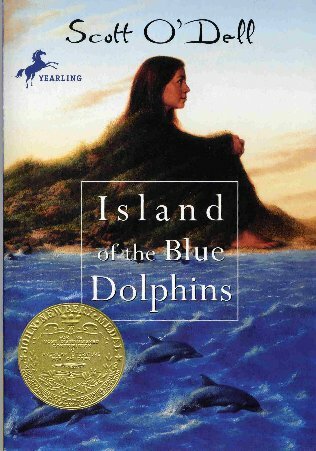 Karana’s tribe lives on the Island of the Blue Dolphins. There is constant conflict with the Aleuts which results in many men from Karana’s tribe being killed. A ship arrives to take the survivors to the mainland. Karana, seeing her brother still on shore, jumps overboard to join him. Her brother is soon killed by wild dogs. Alone, Karana tries to follow her tribe by canoe but is forced to turn back. She builds a permanent shelter and befriends one of the dogs – Rontu. When Rontu dies, Karana is bereft, but takes another dog as a companion, Rontu’s son. When the Aleuts return, Karana makes friends with a girl from their tribe, but is lonelier than ever when the girl leaves. She endures many hardships, including an earthquake and a tsunami, before a rescue ship arrives to take her to the mainland.